I was introduced to the book The Slight Edge by Jeff Olson. I began reading it yesterday morning while waiting for some work to be done on my wife’s car in the shop. I am enjoying it and highly recommend it to you . I sent the following in an email to my team here at work. Olson makes a great point on success, and I want to share it with you now. Jeff Olson shares that most people in life want to experience success but only around 5% actually do something to become successful. According to Olson (and I agree with him), “success comes through simple, productive actions, repeated consistently over time.” That is TRUE. I decided to fight my diabetes by changing the way I ate. I researched eating a LCHF (low carb/healthy fat) lifestyle. Every day, I used My Fitness Pal app to keep track of what I ate and how many carbs I consumed at each meal. Every day, I stuck to my plan. I didn’t intend to lose weight. My goal was to reduce my blood sugar numbers – I was unhealthy! But as a “side effect”, I was losing weight by focusing on reducing carbs every day. Did you read that? “every day” My weight loss success was due to the “simple, productive actions, repeated consistently over time.” I lost 30 lbs in less than 120 days earlier this year. I’ve kept it off, too. Here in your job, you can be successful. It will require daily disciplines that are easy to do. Really, they are easy. But just like trying to lose weight, disciplines are also easy not to do. The choice is yours. So here are 10 Core Commitments for you. This is my challenge to you. Work on these commitments every day at every opportunity. There may be days when you don’t get to all 10, but if you make it a focus, I bet you’ll do more than you think. I attended a meeting this morning where a manager (not one of my direct reports) shared a frustration with a staff member of his. 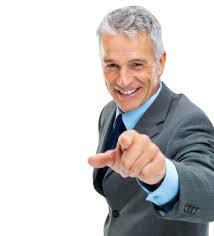 This employee would often “forget” to get something done – sometimes something fairly important. This manager asked for suggestions that would help him coach more effectively. A few suggestions were floated around: “You need to find out why they forget these things.” “Maybe they’re not clear on what you want.” etc. I had a suggestion but kept quiet in the meeting. I’m not sure why I did. I was a guest of this group. Perhaps I didn’t want to impose my thoughts where they might not have been welcome. I also could have left it there. I later called the manager. In fact, we just finished chatting. I shared some specific ideas he could use today to move this forgetful employee towards improvement. We already have some great coaching tools and technology he could use today. We had a very good talk, and he ended our conversation by thanking me for my “insights” into management. I’ve not interacted with this young man before. I enjoyed our talk. I could hear the passion in his voice. I could sense his wanting this employee to grow beyond this stage of forgetfulness. I appreciated his desire to help others grow and develop. I wouldn’t mind having this leader on my team! I would have missed all of this had I not acted and followed up with him. This post is simply an encouragement to act on intuition. As a leader, you have experience to offer others. Act. Get involved. Follow up. It’s worth it. You have just provided immediate, specific feedback on your employee’s performance. Chances are he will become more consistent with his customer interactions. By the way, don’t make this the last time you ever observe this employee on this issue. 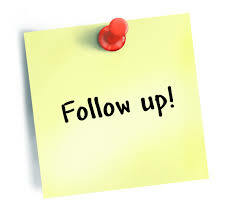 Observing coupled with a power follow-up also works with negative behavior. The secret here is to give your power follow-up in a more private environment such as your office or a side room away from other employees. You never want to embarrass a team member in front of others on the team. It will only demotivate or anger that person. As someone once said, “you have to inspect what you expect” and that means getting out and observing.